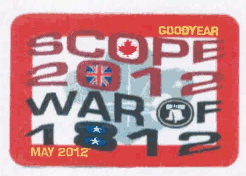 SCOPE traditionally includes a fantastic, unique crest for every participant and this time is no exception... and you get a chance to design it! Create your designs using the theme "SCOPE - Canada , United States, Woodland Trails Camp, Toronto"... and dd your own imagination and design. The CREST can be Square, oval, round or rectangle but should be no larger than 4 X 5 inches and a maximum of 5 colours. Deadline to enter is March 15th. What is SCOPE all about?